Who’s Winning Awards in January? It was a gloomy day yesterday and I consoled myself by looking at picture books, which always leads me to wondering who’s going to win the Caldecott this year. I think a lot of folks are saying Wonderstruck will repeat the success of The Invention of Hugo Cabret, and as much as I love this book, I don’t think so. I just think Hugo broke the ground on this style of book and Wonderstruck‘s format is too similar. 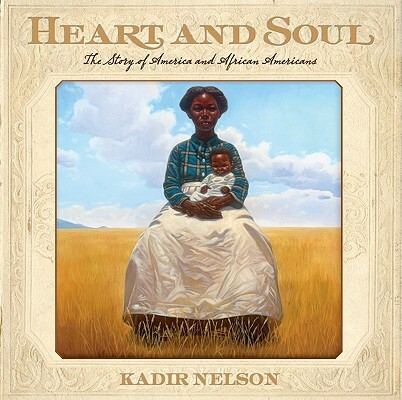 It’s no surprise just how much I love Heart and Soul: The Story of America and African Americans by Kadir Nelson, but will it win? There’s a lot of text and that might make it not win the Caldecott, but I have a sneaking feeling it’s going to win some bling. Several other non-fiction books also seem likely to win. 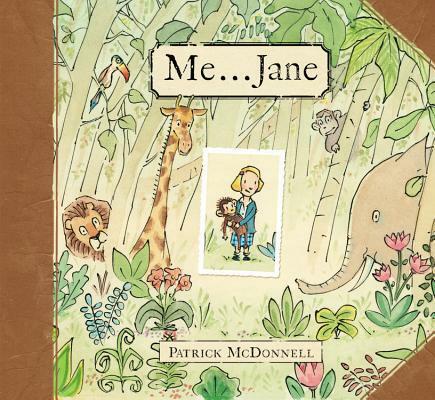 A book that I adore is Me…Jane by Patrick McDonnell. A seemingly simple book, this book really captures the mind of a young Jane Goodall in a way that will appeal to most children. 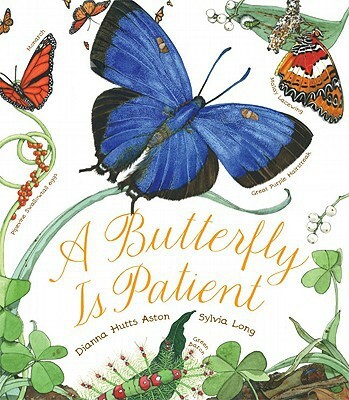 The book A Butterfly Is Patient by Dianna Hutts Aston is chock full of info about butterflies and is absolutely stunning. Will You Be My Friend? by Peter Brown strikes all the right notes for child enjoyment, and the art is wonderful and accessible. So, what are you guessing will win come January? Please comment below and when it’s time for the announcements, I’ll post who got the most correct titles and they’ll win the annual PW ShelfTalker Bow of Gratitude. Remember, points are given for number of correct titles in the correct order: winner, honor, etc. Guesses accepted until 6am the morning of the announcements. This entry was posted in Uncategorized on November 11, 2011 by Josie Leavitt. So many worthy choices, but my Caldecott pick would be Nelson’s Heart and Soul- a window into our past with both heart AND soul- already a classic. And for Newbery I just want to be sure this is out there: As Easy As Falling Off the Face of the Earth. (Lynne Rae Perkins). Hasn’t had as much buzz as some titles, but an amazing read, especially for teens who feel the world spins out of their control when they blink. Sandy, I too loved As Easy as Falling Off the Face of the Earth, but I’m confused. Didn’t it pub in 2010? If so, it wouldn’t qualify for this year’s awards. “Me…Jane” is my personal favorite, but I’d also love to see “I Want My Hat Back”, “Heart and Soul”, “Love, Mouserella” and “King Hugo’s Huge Ego” to contend. “Wonderstruck” has a better chance snagging a Newbery sticker this year, I think. I will be very sad if HEART AND SOUL doesn’t win the Caldecott. My Newbery pick has been OKAY FOR NOW by Gary Schmidt since the moment I read it. I would love to see BIGGER THAN A BREAD BOX by Laurel Snyder get recognized. And WITH A NAME LIKE LOVE by Tess Hilmo. Oh, I think it’s Lane Smith’s year! Grandpa Green is so beautiful and tender — for me, the true test of a Caldecott title is whether the story would flow if there were no text. This definitely passes that test. That page where all the green leaves start to turn orange? Gives me goosebumps. Of some of the others mentioned here: I wasn’t in love with Me… Jane, it was pretty but the story ended too abruptly and left me wanting. I Want My Hat Back is brilliant, though, I just adore it, my favorite book this year. I haven’t seen A Butterfly is Patient yet but is it different enough from the first two to merit an award? I found there first two rather similar. Not that having too similar masterpieces is a bad thing! It seems that through the years I have come to realize Dianna Hutts Aston does exquisite work when it comes to presenting nature in such a way that adults even flock to her books with a sigh of awe. They are presented with such truth and show magnificant colors with brilluabce if writing, ‘An Egg is Quiet,’ ‘A Seed is Sleeping,’ and now ‘A Butterfly is Patient.’ These books took research and compassion for the love of nature and are teaching young and old. I am totally sold on ‘A Butterfly is Patient.’ But I found her other book about “Dream Something Big.” Thank goodness for people such as Dianna Hutts Aston. We have all grown in our love for nature because of her; and in our love for the fellow man through Dream Something Big. It teaches our children to never give up. Wow. Thanks for ‘nod’ to A BUTTERFLY IS PATIENT! Brother Sun, Sister Moon reimagined by Katherine Patterson and illustrated by Pamela Dalton – the Caldecott commitee can’t ignore the mastery of these illustrations – pictures that the reader can get lost in with all the details. If Swirl by Swirl doesn’t win at least a Caldecott Honor, I’ll be distraught! Mouse and Lion by the Burkerts should win an honor too. I’m never good at picking the gold (except that year that Jerry Pinkney won for The Lion and the Mouse!). But I really love Orani: My Father’s Village. So I’ll guess that. For Newbery, I’d like to see Words in the Dust (which came out way back in January, so people may have forgotten it) receive an honor. And Hound Dog True. Again, I’m not at all sure what will win the gold. There isn’t one book that stands out in my mind. 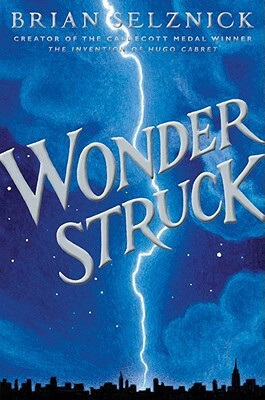 It would be interesting if Brian Selznick wins the Newbery for Wonderstruck, instead of the Caldecott! And I’m pushing for Everybody Sees the Ants by A.S. King to nab the Printz. I so love Me . . . Jane and hope the Caldecott committee is looking upon it with a favorable eye. Any of The books you mention would be a worthy choice, but Wonderstruck is my personal favorite. Selznick refines and, in my opinion, improves on his new storytelling format. I would love to see Wonderstruck recognized for the Newbery–the storytelling is clever and beautiful. As far as the Caldecott is concerned…I don’t see how anyone can ignore I Want My Hat Back by Jon Klassen. Brilliant design and use of color–top notch!